BEST RATES & UNBEATABLE FREE OFFERS ONLINE NOW!. If You Find A Better Offer Then We Need To Know So We Can Beat It. Dine in style at the resort restaurant available daily or why not take a dip and swim up to the island pool bar for cocktails... your on holidays after all! Best Rates & Offers At Sea Temple. 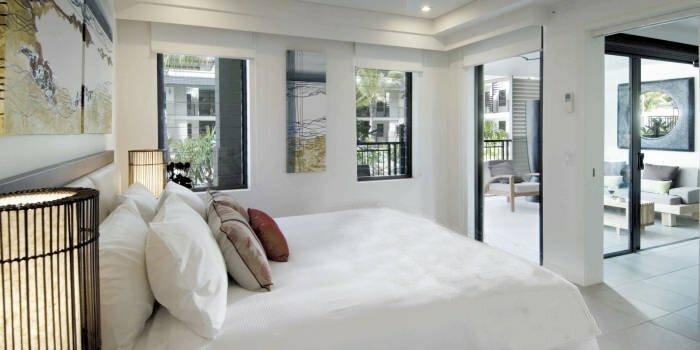 Your Penthouse includes Luxurious King Bedrooms & Queen Bedroom with detailed accommodation on 2 levels. 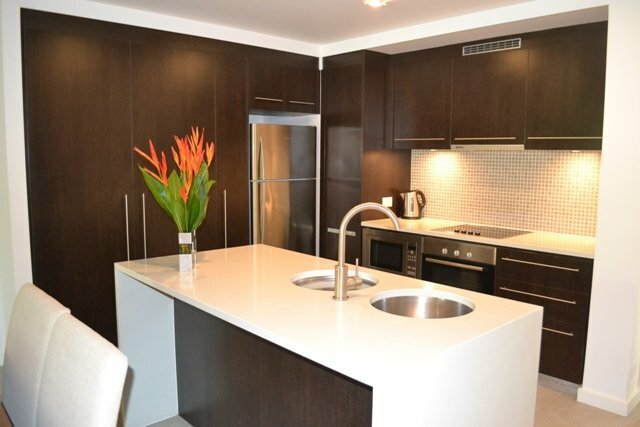 Fully Self Contained with Rooftop Spa,Dinning Pavilion, Weber BBQ & Sun Lounges. Views from the balcony over looking the main lagoon pool, lush tropical gardens with mountain views. 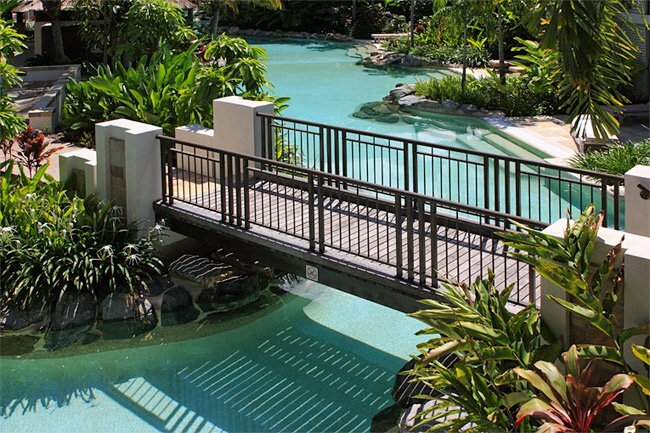 Private boardwalk access to the famous 4 mile beach. Large Screen TV also available Washer & Dryer plus Wi Fi & Netflix in this room. Private Board Walk Access To The Famous 4 Mile Beach. Read....... "Recent Guest Reviews On This Room"
Best Rates & Offers At Sea Temple. 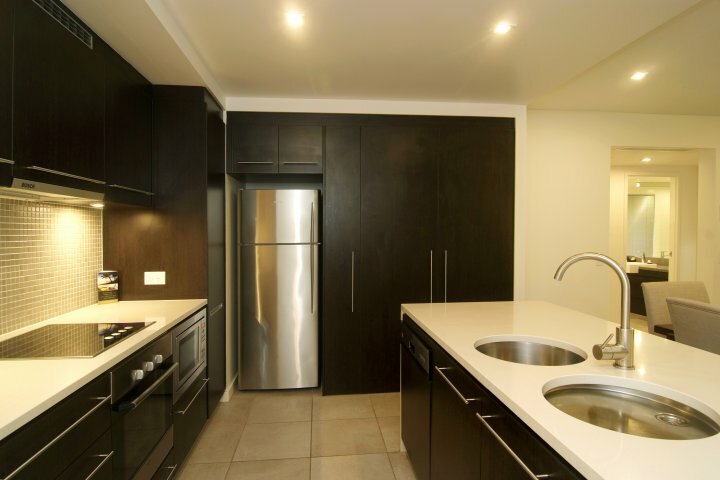 Your Penthouse includes Luxurious King Bedroom with detailed accommodation on 2 levels. 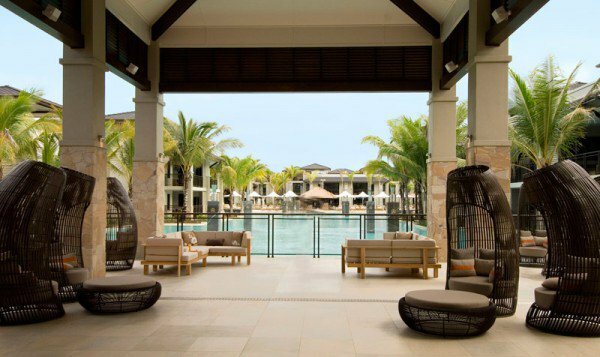 Fully Self Contained with Rooftop Spa,Dinning Pavilion, Weber BBQ & Sun Lounges. Views from the balcony over looking the main lagoon pool, lush tropical gardens with mountain views. Private boardwalk access to the famous 4 mile beach. Large Screen TV also available Washer & Dryer plus Wi Fi & Netflix in this room. Private Board Walk Access To The Famous 4 Mile Beach. Read....... "Recent Guest Reviews On This Room"
Best Rates & Offers At Sea Temple. 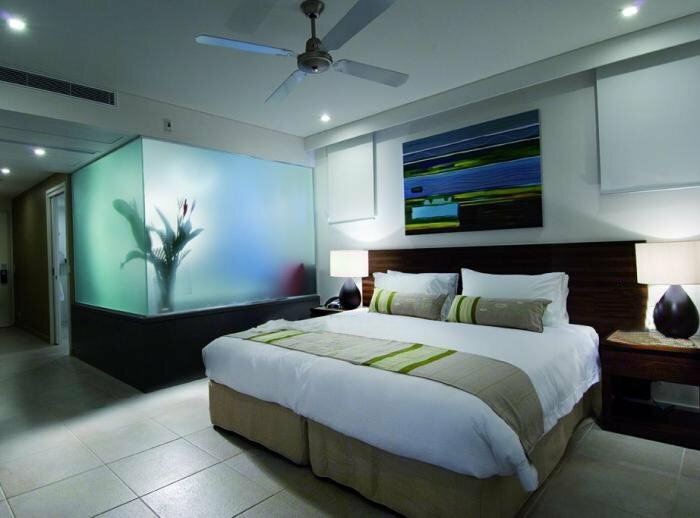 Your Penthouse includes Luxurious King Bedrooms & Queen Bedroom with detailed accommodation on 2 levels. 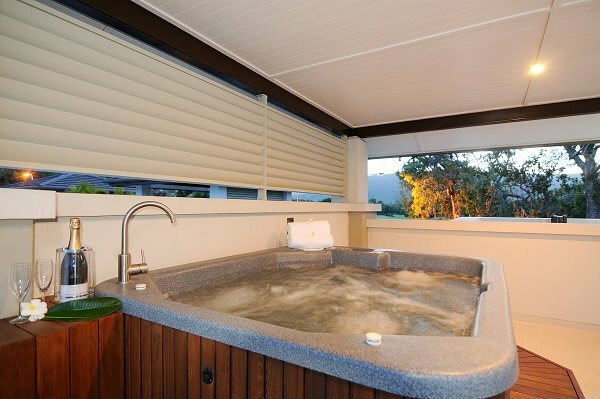 Fully Self Contained with Rooftop Spa,Dinning Pavilion, Weber BBQ & Sun Lounges. Views from the balcony over looking the main lagoon pool, lush tropical gardens with mountain views. Private boardwalk access to the famous 4 mile beach. Large Screen TV aso available Washer & Dryer plus Wi Fi & Netflix in this room. Private Board Walk Access To The Famous 4 Mile Beach. Read....... "Recent Guest Reviews On This Room"
King Bedroom with large King Spa. Large Screen TV, Includes Wi fi & Netflix Connectivity in this room. 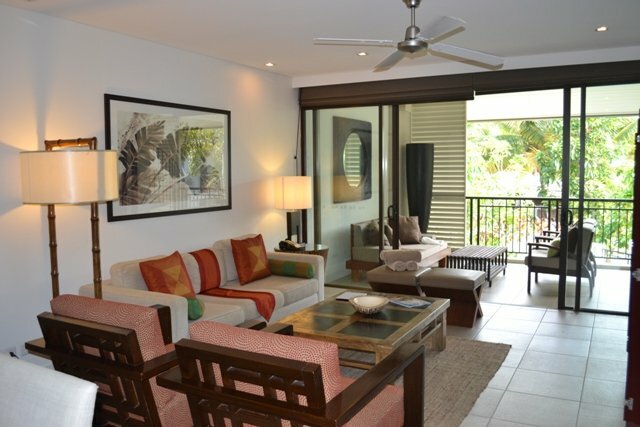 Balcony looking towards lagoon pool, lush tropical gardens with mountain views. Private boardwalk access to the famous 4 mile beach. Read About..... "Recent Guest Reviews On This Room"
Early check-in time from 2.00pm and check out by 10.00am or later by arrangement. Late check-outs may incur a $100 fee. Privately Managed Apartment, checked In by our manager. 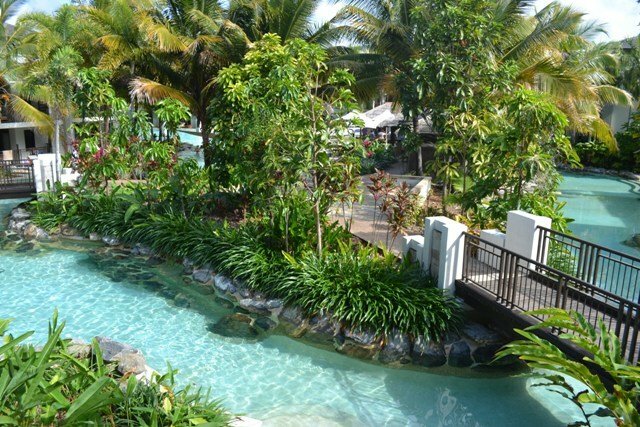 Situated 50 minutes drive north of the Cairns Airport. Regular shuttle bus, taxi & or limousine service available. All Tours contact Seatemple Front Desk.